At the entrance our home we have a lovely 0ne-off mosaic purchased by our children for our fiftieth birthday. The kids chose an appropriate Biblical phrase about the Jubilee Year, which means fifty. That mosaic was created by the artists of Eilan Mosaics. Kibbutz Eilon is very close to some of Israel’s most visited attractions: G0ren Park (with its view of the Montfort crusader castle) and Adamit Park (Keshet Cave and Sela Bridge). So when you are nearby, do as I did and drive in for an exciting visit to this creative, artistic center. 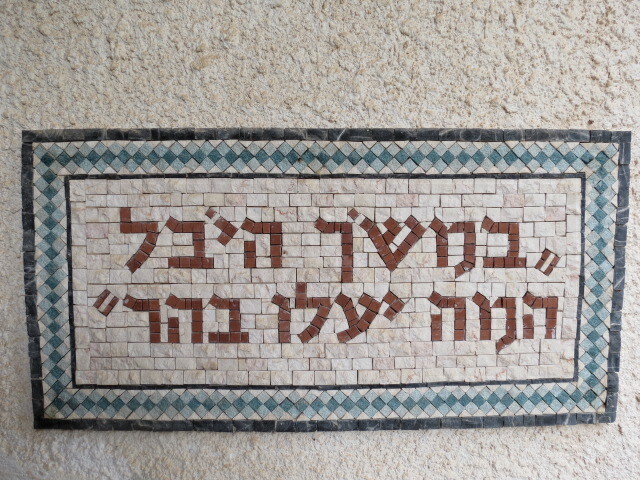 Throughout history the Land of Israel has been a center for the art of mosaics. In private dwellings and public spaces they were a sign of prosperity, a mark of beauty and through simple or intricate design made the natural colors of the land come alive. This ancient craft of hand-laying stone continues today at the Eilon Mosaics factory in northern Israel, opened in the 1960’s by two immigrant artists from Kibbutz Eilon. Stones are hand-cut and laid using the traditional techniques of ancient days with modern precision and durability. Eilan artists and stone-workers today both recreate and reinterpret the classical designs found in the thousands of mosaics unearthed throughout this region molding them into modern designs to fit customers’ needs. Lucky me. At the time of my visit, the studio floor was all layed out with a numbered jigsaw puzzle of a dazzling project for Israel’s parliament, the Knesset. My personal guide Hagar Kluger, CEO, showed me the steps of how the mosaic created – from blueprint to final product, ready for shipment. I was able to recognize many of the famous mosaics fromvarious archaeological sites in Israel such as Jericho, Tzipori and Beit Alpha. 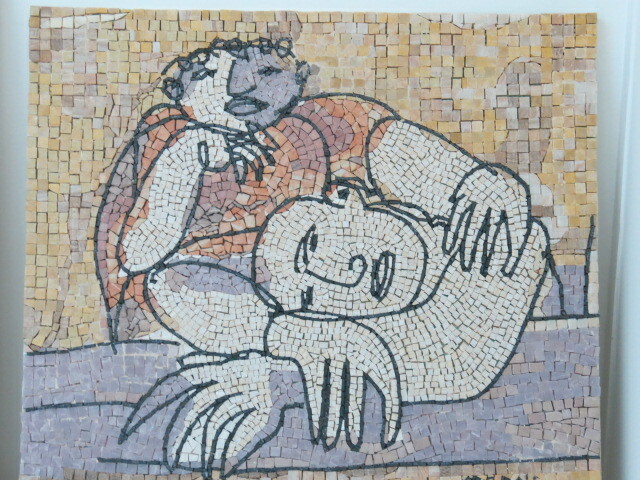 One of the latest products produced by Eilon is a line of mosaic reproductions of modern art by Aharon Shoshany. Isn’t this beautiful! 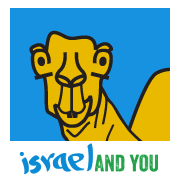 When you go to visit Eilon – tell them that Israel from Israel and You sent you.